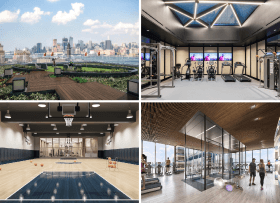 Living in any of One Manhattan Square‘s 815 units is a pretty extravagant opportunity; the 800-foot Two Bridges tower will boast more than 100,000 square feet of over-the-top indoor and outdoor amenities, ranging from a tree house with fire pits and stargazing observatory to a 70-seat movie theater and bowling alley. 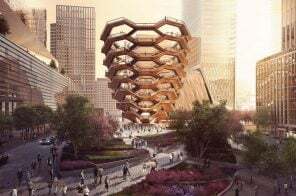 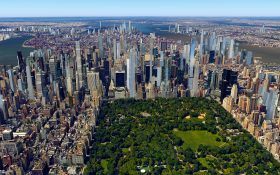 But those 25 condos on the upper floors will be afforded an even more luxurious lifestyle, with “limitless bird’s eyes vistas” of the skyline, Brooklyn, New York harbor, and the East and Hudson Rivers. 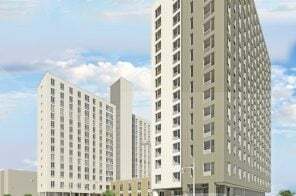 According to a press release from developer Extell announcing this Skyscape Collection, the deluxe residences are mainly three-bedroom homes, along with the building’s five five-bedroom penthouses, two of which are duplexes (one of these already sold for $13 million). 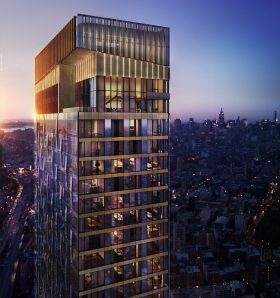 Adding to its unique character, Extell’s One Manhattan Square will soon be home to NYC’s largest outdoor private garden, detailed in a new video released today by the developer. 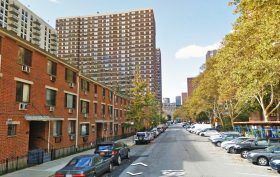 The proposal, designed by urban planning and landscape architecture firm West 8, includes more than an acre of garden space for residents to both work and socialize, boasting indoor and outdoor grilling spaces, ping-pong tables, a putting green, children’s playground, adult tree house, tea pavilion, and an observatory made for stargazing. 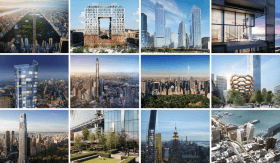 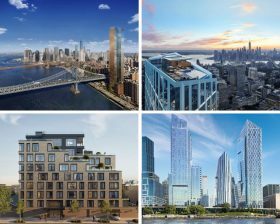 Despite the rapid influx of new development that’s popping up in the controversial Two Bridges area, the Chinatown-meets-Lower East Side neighborhood’s first project, One Manhattan Square, still reigns as the tallest. 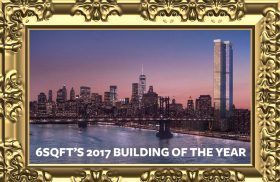 In fact, when it reaches its full 823-foot height, Extell’s 80-story condo at 252 South Street will have the highest rooftop between downtown and Midtown Manhattan. 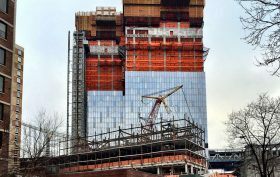 Now that sales have commenced, CityRealty paid the construction site a visit, noticing that the double-slab tower is already more than 30 stories tall and has begun to receive its reflective glass skin.